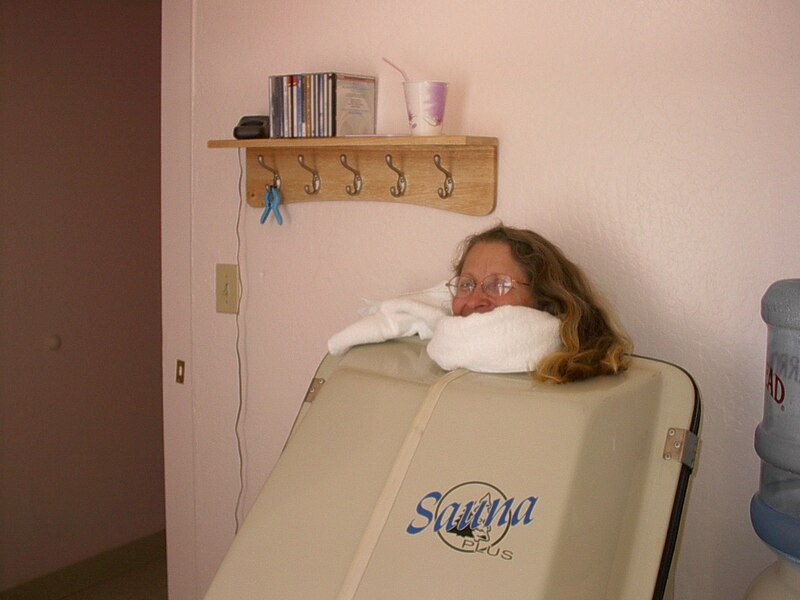 Took 250 mg niacin, exercise for 30 minutes, took a 45 minute oxygen steam sauna. 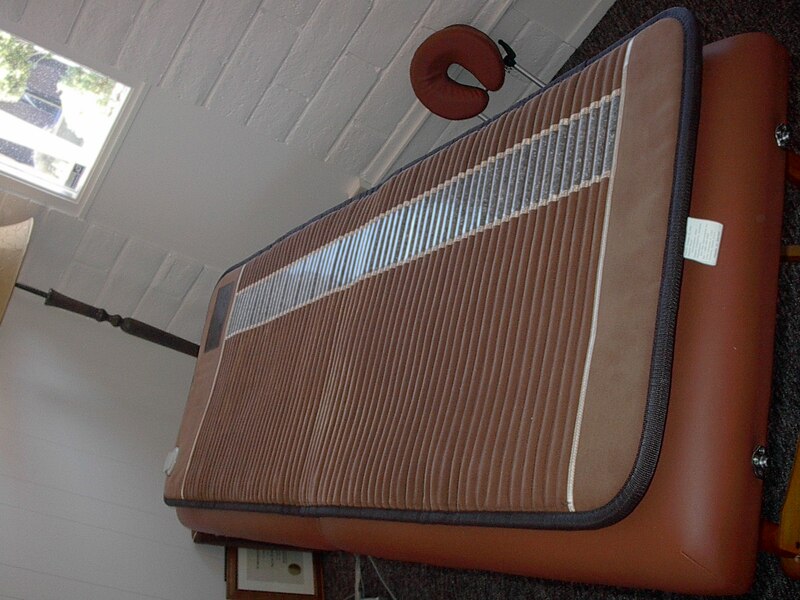 Then laid on an Amethyst BioMat while getting cupped, hot compresses, and Guasha for 2 hours. She started cupping on my hips and legs. While that was happening, my upper back started having twinges of pain and I kept twitching to release that energy blockage cause it. There are really dark hickies all over my shoulder and hip area. My tissues are a lot more pliant. It is amazing how quickly they are transforming and how much less pain during cupping and Guasha. I had plenty of energy to work on my clients this afternoon. I took detox bath with ozone before bed last night. A lot of dark or clear slimy goo came out of my feet and I sweated a lot. The bath water got really dark and murky. This morning I took 250 mg niacin, exercised for 30 minutes, took a 45-minute oxygen steam sauna, and then did an hour-long colema with oxygen for an hour. I worked until 7 p.m. then came home and rested. Last night my lower legs and feet keep cramping. I wanted to do an ionic footbath but ran out of time at the office. I drank CALM w/ calcium and PLEO-Alkala and Phyto CalMag every time the cramps woke me up. It happened about 4 times throughout the night. I also had to massage and pound the cramps to get them to ease up enough to go back to sleep. When I got up to start my day my upper back, where the twitches of pain were during the third session, was stiff and painful. I am also extremely tired so I am just resting today. My upper back is a little better than yesterday but I am still sore and tired and resting today. Back to normal today and busy working. Been very busy and did not have time to detox for several days. Several of the cupping hickies are still dark and a lot are yellow and green. So instead of getting another session today I spent today detoxing with EWOT, Steam with oxygen, colema, and a footbath. My liver was hurting and had a friend thump my back over the liver area. Then went home and drank Epsom salt water to start a liver flush. I just drank my olive oil and grapefruit juice and am going to sleep. Spent the day working. After work I did a colema. Near the end of the colema up under the right rib cage I felt a large mass. I massage the area until the mass moved but did not get it to come out. There was some shale and a few larger stones. My liver still hurt way up high in the right back and I keep thumping it. I took more Epsom salt when I got home and just drank my olive oil and grapefruit juice to keep the liver moving and am going to bed. Today I worked 7 hours with no breaks in a trailer selling food and tickets at the Healdsburg Fair. When I got home I was exhausting and just ate watermelon and am resting. My liver is still aching and I have been thumping it all day. My lower legs started cramping a little while after I went to sleep and I got up and took CALM w/calcium, Pleo-Alkala, and several Phyto CalMag caps and went back to sleep thi s happened several more times before midnight then I finally slept for several hours but woke up early feeling toxic. So, I took an Epsom salt, apple cider vinegar, Aran detox bath. During the bath I used my Guasha tool and massaged my colon to help that large mass from the 28th to keep moving. When I got out of the bath I sat on the toilet and that large mass went into the toilet. 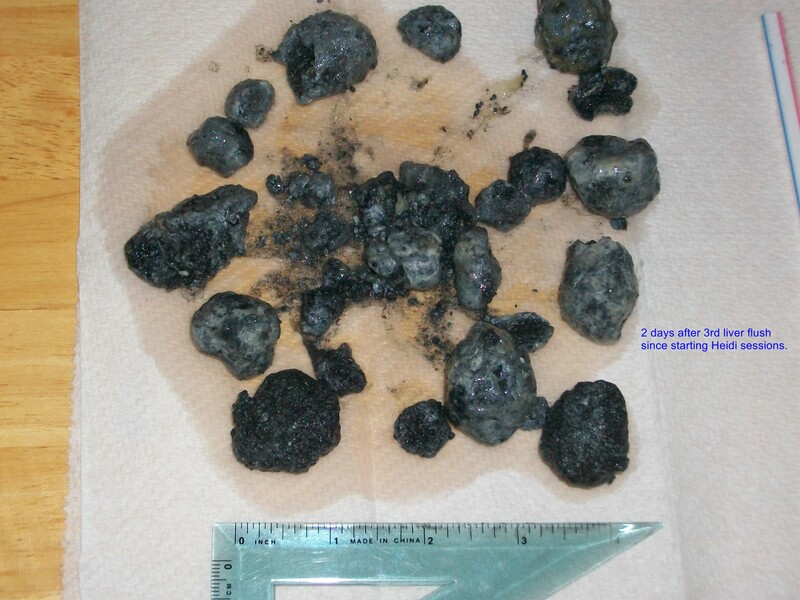 It was made up of the largest gallstones I ever saw stuck together with a bio film. I felt much better today. I woke around 2:30 a.m. with my liver aching. I took CALM w/calcium, Pleo-Alkala, and several Phyto CalMag caps. In about a half an hour I drank olive oil and grapefruit juice. It eased the ache enough to go back to sleep. I felt a lot of gurgling. That movement is something I have not felt in that area for about 10 years. My head felt really clear today and I got a lot of work done.